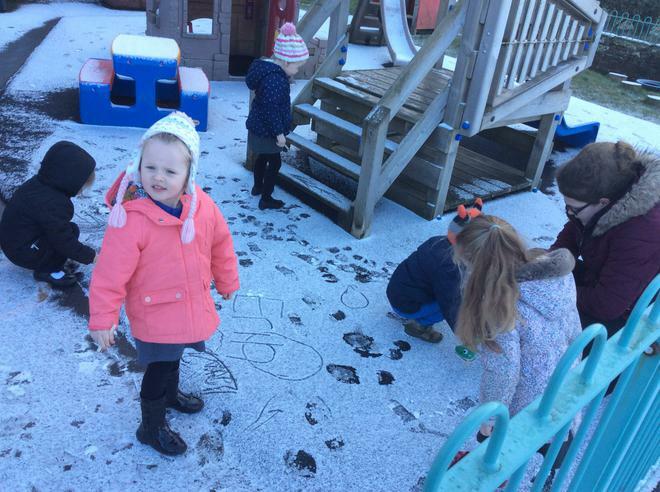 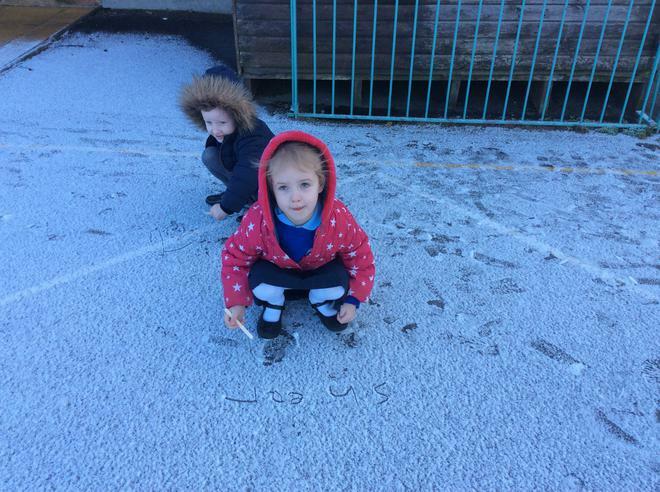 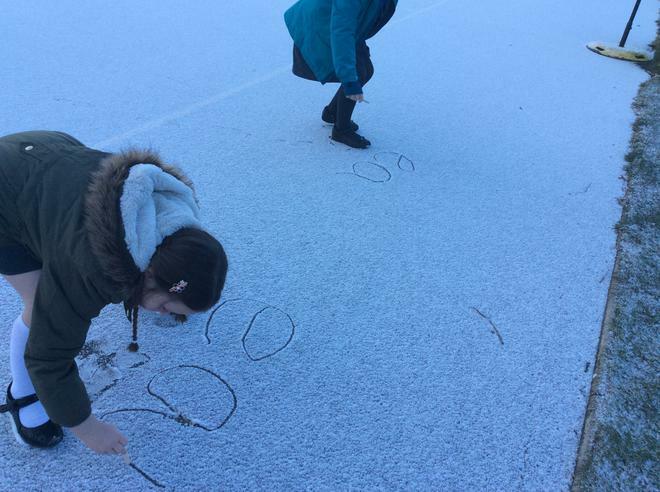 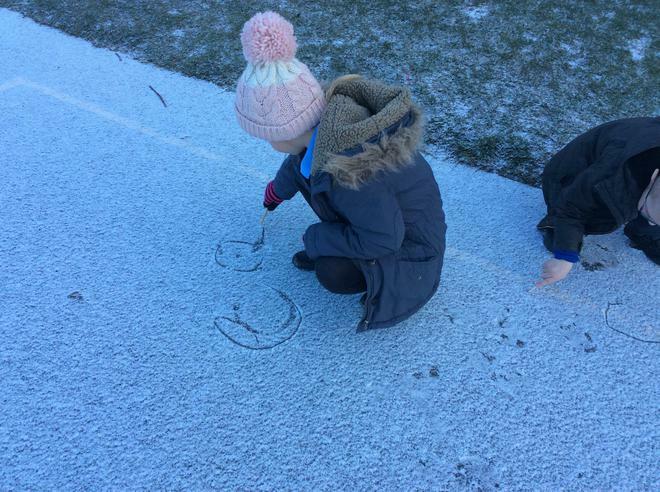 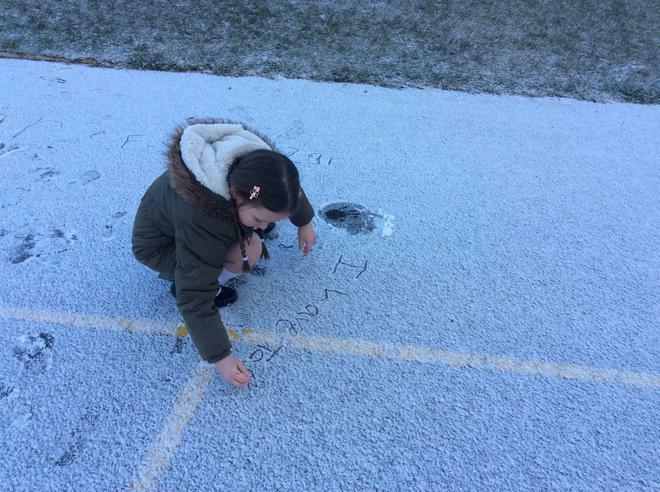 Snowy phonics: In Nursery we wrote our names and practiced large, gross motor movements. 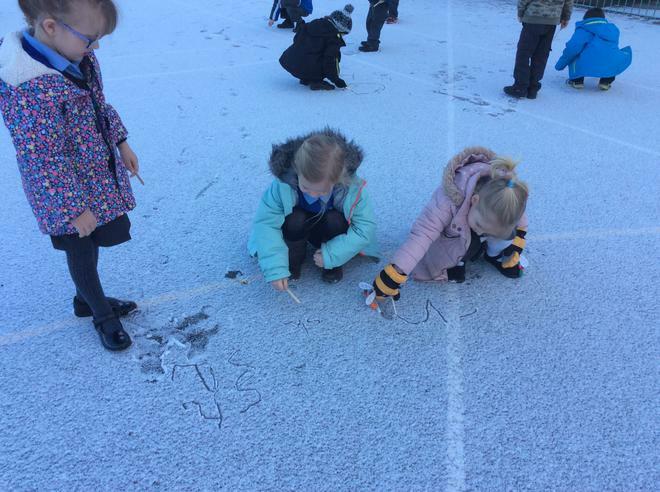 In reception we wrote this week’s sounds. 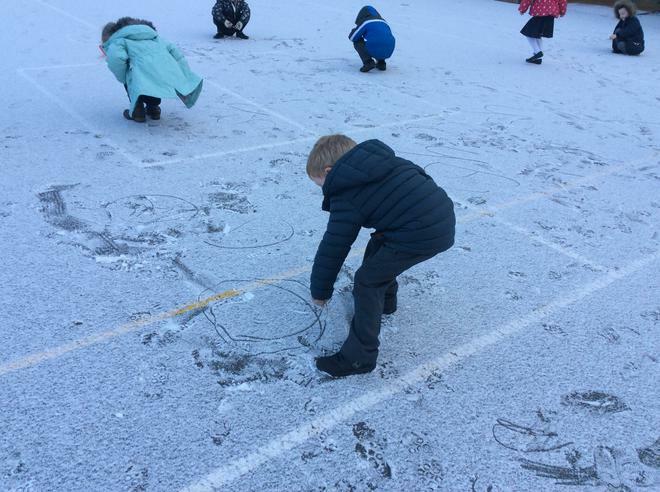 In year one we wrote words and sentences with our sound.